Corrective Jaw Surgery or ‘‘Orthognathic Surgery’’ refers to the correction of a wide range of minor or major skeletal and dental irregularities, including the misalignment of jaws and teeth. Surgery should enhance chewing, breathing and speaking. Although the patient’s appearance may be dramatically improved, the primary goal of this surgery is to correct function. People who can benefit from Orthognathic Surgery include those with misaligned jaws that lead to bite discrepancies. Jaw growth is a gradual process and in some instances, the upper and lower jaws may grow at different rates. The result can lead to a host of problems that can affect chewing function, speech, long-term oral health and appearance. Orthodontics alone can correct bite problems when only the teeth are involved. In some situations, Orthognathic surgery may be required for the jaws when repositioning is necessary to enhance the end result. Before any treatment begins, a consultation will be held to perform a complete examination with X-rays. During the pre-treatment consultation process, feel free to ask any questions that you have regarding your treatment. What can you expect at East Coast Oral Surgery? 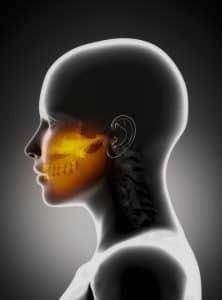 At East Coast Oral Surgery, we use modern computer techniques and three-dimensional models to plan exactly how your surgery will be approached. Our goal is to help you understand the benefits of orthognathic surgery. As well, our surgeons will discuss the risks involved so you may be fully informed. Corrective jaw surgery is a significant intervention requiring many months of preparation. The surgery is performed in the hospital and can last between one to four hours. Hospital stays of one to three days are normal. The greatest impact of orthognathic surgery is the recovery phase. Patients typically may be off work/school from two weeks to one month after surgery. Return to normal chewing function may take 2 months and full function may take one year. Our goal is to ensure you are well taken care of during and after surgery. Weekly appointments are required for up to two months after surgery. For more info on Corrective Jaw Surgery, call us today!